You must make reservations at least 5 minutes in advance of the time at Atelier Culinaire. You are welcome to park in the Stratford University Lot, located at 210 S. Central Ave, for free. It is about a 5 minute walk from the lot through historic Little Italy to the restaurant. There is also some street parking available or a parking garage is located directly next to the Atelier. We are proud to host your private event. Please e-mail the restaurant manager at rmcquay@stratford.edu about having your event at the Atelier! Atelier Culinaire, which means “The Culinary Workshop”, is designed to offer excellent food and service while leading new talent into the Culinary and Hospitality World. Managed by the Stratford University, our goal is to showcase the students who are getting ready to graduate and fully prepare them for life after school. All of our staff/students are seeking employment once their externship is complete and we would be delighted to arrange an introduction if you enjoy your experience and are looking for talented individuals in your workplace. Roast Rack of Lamb "Memphisto Style"
An excellent meal, well served and presented in a lovely quiet atmosphere. We have been here twice and each time the Chef came to check on the meal and answer questions about its preparation. We really enjoyed the experience. What a great find! Did not expect to find this in Little Italy!! Very attractive décor with great service and excellent food. The crab cake is truly amazing. I have never so many huge chunks of backfin in one crab cake. No filler - all crab. Mine came with a petite filet that was excellent as well. 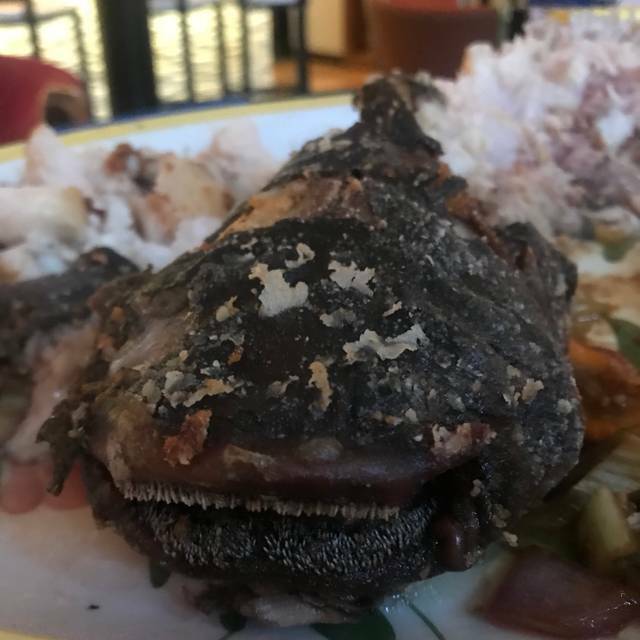 My wife ordered the halibut and said it was delicious. We will return! This restaurant is from the Stratford culinary school in Baltimore. Chef Tom runs the kitchen with help from school students. Food was well prepared, but lack of Menu veracity, chef management and experienced waiter. I hate when your dish comes to the table with cold food and with missing or substitute ingredients without previous anouncement. Also food took way too long to be at the table. Anyway, I had a great time with good food and great people. Thanks Célia and Tom for coming. Had dinner on a weekday, and was seated promptly. The waitstaff is very friendly. The bread was awesome, which might seem like a small thing, but I like it when a restaurant puts effort into the small stuff. I would recommend the potato latkes that come with thin slices of salmon - really good. There were quite a few things that they had run out of pretty early, like the creme brulee. This is a 'student' restaurant attached to a school, but it's helmed by a superb chef. There's nothing amateurish about the food or service. Everything is very good and the service is outstanding. And it's far less expensive than the norm for restaurants of the same quality. Enjoyed an excellent lunch of Seafood Chowder and juicy burgers! Atelier Culinaire was a very pleasant surprise! the location is a little hard to find, but once in you will not be disappointed. 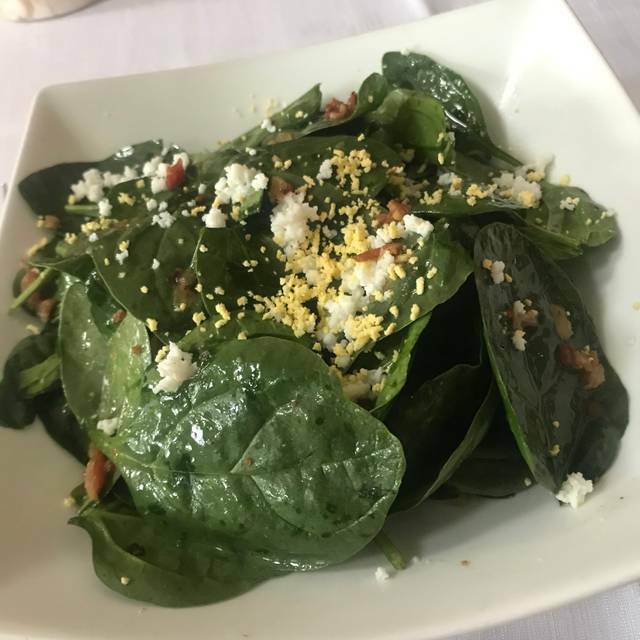 We tried a variety of plates, from the wilted spinach salad, which was excellent, to the clam chowder, the rack of lamb, the potato latke with smoked salmon. All very meticulously prepared, flavorful, and well presented. The service was excellent: friendly and attentive. The decor is simple yet sophisticated. Go try it! Atelier Culinaire is a great addition to the Baltimore dining scene, and deserves great attention. We will definitely go back, and look forward to trying their terrace bar this summer. We had a wonderful dinner here last week. Great food, excellent service and a lovely dining room. An interesting menu and a nice wine and cocktail list made for a great evening out. We'll be back! Our friends and family had a wonderful meal this weekend: excellent lobster salad (with caviar), potato latkes with salmon and a spinach salad. Favorite entrees were lamb ribs, scallops and the salmon, great bread pudding. Nice modern, classic atmosphere. This is a high value, unique restaurant: a culinary school with a master chef trainer, with high quality subsidized ingredients. Well worth trying for lunch or dinner. . Very professional experience from the culinary school. The food was excellent and well paced, and the menu was nicely varied. 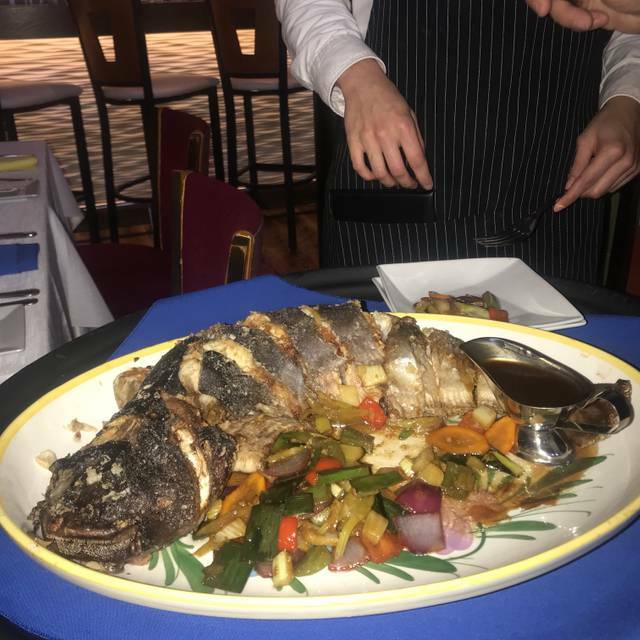 The service was terrific with a very attentive (but not too attentive) host and great server. My husband took me to Atelier Culinaire for my 24th birthday on 3/16. We had an amazing time and it is the perfect restaurant for any date night or dinner party. We were quickly seated and our server was very polite. We had potato latkes and salmon for an appetizer (delicious!). The manager, Dan, kindly came to our table to ensure we were having a great experience. Dan was very nice and made conversation with us, he seemed very caring. My husband ordered the steak and crab cake and he says its the BEST steak he's ever had, it was cooked perfectly. I had a few personal dietary restrictions and they were VERY accomodating. I had the roasted chicken and carrots and spinach. The food was yummy and then the chef took time to visit our table. Chef Tom was funny and really nice too! He made sure everything was to our liking and we could tell he takes pride in his work and he cares about his customers. We finished the meal by sharing a delectable tiramisu dessert. Overall we had a wonderful experience and we felt catered to. The food was so good and we are telling all of our family and friends to come with us for our next visit! This was out first visit to Atelier Cuisine. We had read about it in the Sun and decided to give it a shot. What a wise decision we made. My wife and I went with another couple before attending a show at the Vagabond Theater in Fells Point. Even with desert, we never felt rushed during our dinner and had plenty of time to make the curtain. The gentlemen of our group had the latkies, which came with sliced salmon. The ladies each had Persian minestrone. Both choices were excellent ways to start of the evening. We each had a different entree. My pork chop was thick and cooked just right. It was served with lentils (which I like) and was as tender as can be. My wife had duck and was thrilled with her choice. Truth be told, there was too much duck for her to eat it all, so I got to eat some f the duck as well. Like the pork chop it was perfectly cooked and wonderfully delicious. 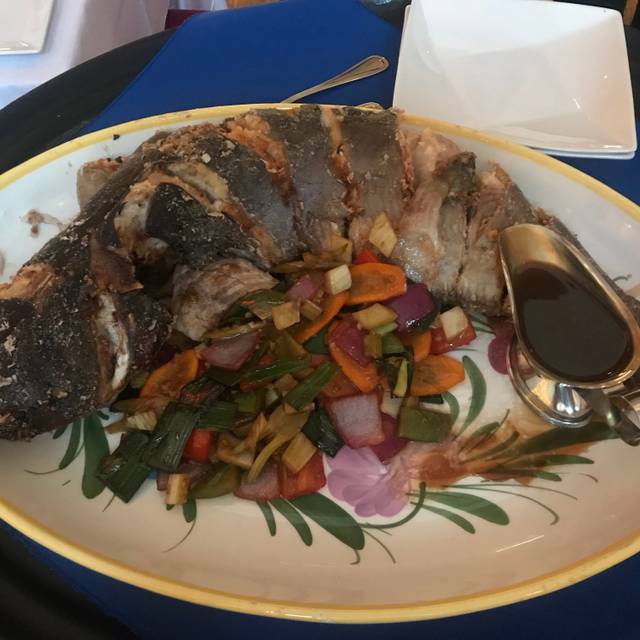 Our friends each had a different fish dish and were as pleased with their choices as my wife and I were with ours. All of the entrees were served with the restaurant's amazing potatoes. They are a must. The Chef came out to say hello shortly after our entrees had been served and advised us to make sure to eat the potatoes, as they are everyone's favorite. His advice was sound. My wife and I split the Opera Cake. It was light and fluffy and tasted great. The other couple split raisin bread pudding that was served warm with ice cream. Wonderful was to finish our meals. The ladies had wine with dinner and both were pleased with their selections. Atelier Culinaire does a great job. They help to train the Chefs and restaurant personnel of tomorrow. The prices are competitive and are a value for the food and attention you receive. I heartily recommend Atelier Culinaire. We will be back. Perhaps we'll see you there! We had a wonderful time, enjoyed our experience very much and will be back. Incredible, marvelous, fantastic. I could go on for hours. Dining here is a must do. We celebrated an anniversary here and loved it. All of the staff were friendly and attentive. Chef spent quite a bit of time talking with us and even went out if his way to get us pastries from a local bakery! Eat here now. Fantastic food. Service could be better. This place was a great find in Little Italy. the staff are all very attentive and pleasant, and the restaurant itself is lovely - glad to have tried it! Five stars last week; 3 to 4 this week, probably the travails of a cooking school. Excellent food and service! The options were delicious and well prepared and the staff were accommodating. Highly recommend. The restaurant week menu was very good. The food tasted delicious, and the service was great. We will definitely go back. Excellent food! Our meals were cooked to perfection. Have to mention the home made olive bread which was the best we had ever tasted. The chef came to our table and was very pleasant to chat with. The service was good without being stuffy. Had a wonderful experience here and will return! The food was excellent, and the staff were all very friendly. The kitchen seemed to be stretched and the food was not quick to come out. it was, however, well worth waiting for, very tasty. The wine was good and the prices were quite reasonable. we enjoyed our dinner! Great value. A good opportunity for both the diner and the restaurant! Great Hidden Gem. Daily rotating menu. My new favorite place. My guests steak was ordered med. rare and came out rare. Creme brulee was not set, it was runny like a sauce. 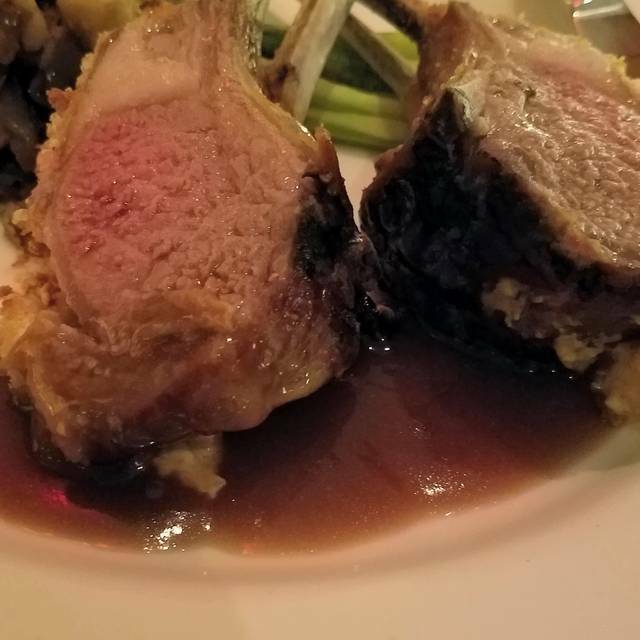 However, my rack of lamb was served as ordered. Excellent meal at Atelier--sampled around and there were no misses. Very nice atmosphere. 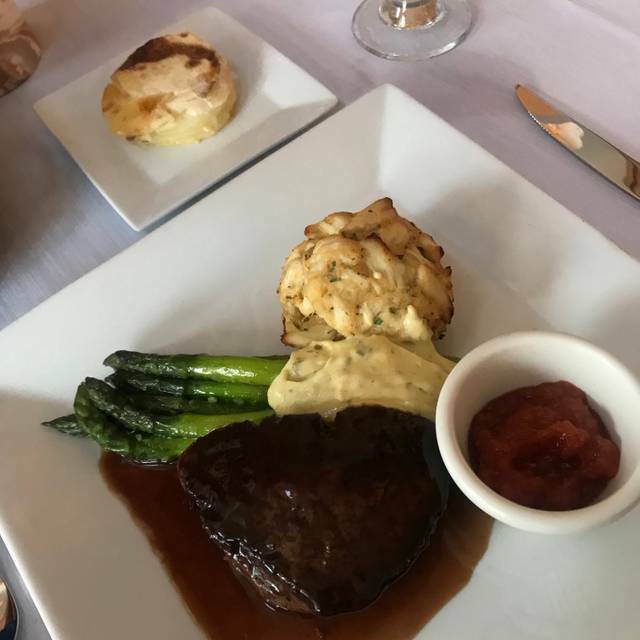 Highlights were the fresh bread, the great seafood soup, the excellent steak--lump crab cake duo and the Rockfish covered in crab sauce. This is a gourmet culinary school with an excellent chef/teacher. The food is subsidized and so the food quality and value is very high. The staff are charming--there were minor glitches in remembering who got what--but they were very earnest and attentive. As in many restaurants, I would stick to the less famous, high value areas on the wine list. To kick off Restaurant Week, we chose to come to Atelier, and what a great choice it was! Our hidden gem is finally being discovered by other diners, and we are thrilled for the restaurant. (It was fully booked for the evening.) We were warmly greeted and seated. Their restaurant menu showcased some of their best menu choices. Their wine and spirits offering are really well-priced with bottles of wine starting at $24.00, wines by the glass at $6.00, mixed drinks and beers starting at $4.00. The ladies started off with the Seafood Chowder – a broth-based soup filled with tons of seafood and flavor. The guys went for the Potato Latkes with Vodka, arugula salad, and lemon dill cured wild Salmon with a honey mustard sauce, pickled onion, and capers. For our second course, three of knew we wanted the roast rack of lamb "Memphisto Style" with a Merlot-infused demi glaze, crusted with whole grain mustard, mango chutney, dried figs and apricots with crushed peanuts, pistachios and garlic flavored bread crumbs. The two double size lamb chops were scrumptious! 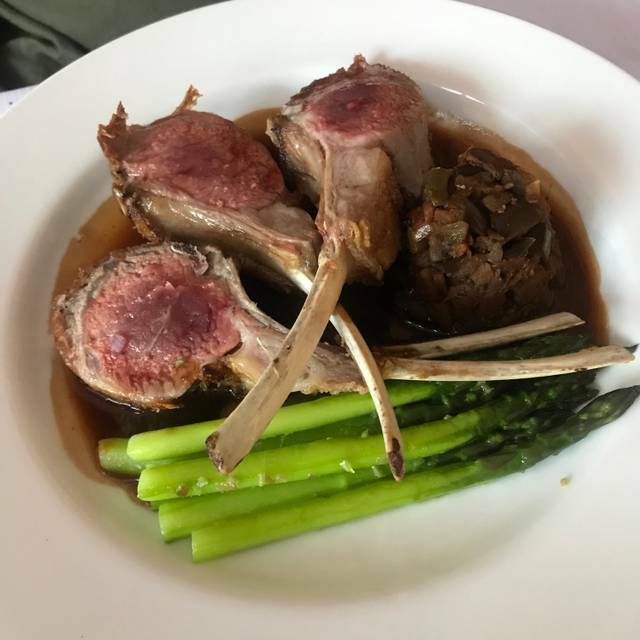 The lamb was accompanied by ratatouille vegetables and green asparagus. One of our party of 4 enjoyed “The Marylander's Best Duet” - 6 oz. center cut grilled Angus Filet steak with a 4 oz. jumbo lump crab cake accompanied by asparagus. To finish, we enjoyed the Raisin Cinnamon Bread Pudding - freshly baked bread pudding with homemade vanilla ice cream topped with a Brandy Foster Sauce and a traditional Crème Brulee. Thank you for giving us such a delicious start to Restaurant Week! Atelier Culinaire offers a creative and delicious culinary experience. They have a delicately curated selection of starters and entrees, and a good list of wines. I recommend this place for a mindful dining experience. our party of 4 arrived at 5:45 for a 6:00 reservation. Even with fairly noisy children running around, the atmosphere was conducive to conversation. However, we were informed that there were no early bird specials left, so ordered from the main menu. The soup du jour (spicy seafood) was excellent and the mussels with a touch of anise were divine. 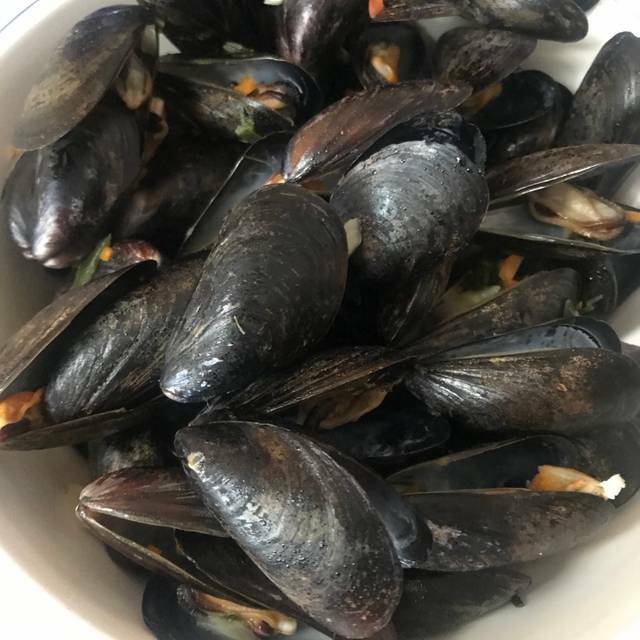 We had to ask 3 times for a second serving of bread for the soup, but never got any till way into the mussels. Our 3rd time there and first with any problems. Thank you for your review. We apologize for the delay in bread and we will make sure that kind of oversight does not happen again. The next time you come in we will make sure that we have the early bird special available for you. Thank you for continuing to visit the Atelier! This was our first time at this restaurant and we really liked it! The staff was very professional but also very friendly and concerned re our enjoying our food and the ambiance. The food was delicious and presented beautifully on the place. I had the lamb chops, my husband had the scallops and our friends had the pork chop. All were perfectly prepared. The ambiance is very attractive and on the evening we were there, it was quiet. All four of us would strongly recommend this lovely restaurant and plan to return. Do we like this place? The answer is a resounding, “Yes.” So much so, we went two nights in a row with different friends. Tonight , we were surprised with a change in the Early Bird Special Menu and what a nice surprise we had. Our friend ordered an appetizer of Beef Carpaccio, which he loved. My husband and I started with a fresh, crisp mixed green salad with a balsamic dressing. Our friends had the Beef Barley soup, which they said was really robust and filling. The main course was Beef Bourguignon surrounded with mashed potatoes. It was all superb. The staff presented me a Raisin Cinnamon Bread Pudding dessert to celebrate my birthday. We thoroughly enjoyed our evening. We so enjoyed another delicious dinner at Atelier. We started with cream of asparagus soup. The soup was rich and creamy. The special for the evening was Seafood. We had a pan-seared salmon, rice pilaf and asparagus. The restaurant is so cozy. It is so nice to be able to dine and have conversation. We had a new server, Kathleen, and she was so attentive and friendly. We were very pleased with our meal and are looking forward to dining here for their early bird special of $9.95 for a two course meal in the near future. The food we ate was delicious and attractively served and the ambiance was attractive and comfortable. We found this restaurant by searching for a quiet place to have a good meal and conversation with our son who was in town for the evening. They had a quiet table for us all ready, and we were not disappointed. The food was delicious, even though at 7:30 on a Sat. they were out of the halibut AND scallops, leaving musssels (appetizer) and salmon as the only fish options. The servers were exceedingly friendly and attentive. They offer several parking options: paid garage right next door, free lot at the university a 5 minute walk away, or on-street. Excellent value, delicious food, nice people. We’ll return! We went for the special, knowing that we would each get an appetizer and entree for $10. A nice deal! The space is just lovely, and the service was attentive and good. The salad and potato leek soup were both good. The entree, a ground chicken thing, was simply inedible. It was lightly seasoned with no browning or signs of sautee (in fact it could have been sliced like a meatloaf), served with good mixed vegetables, mashed potatoes and what tasted like canned gravy. 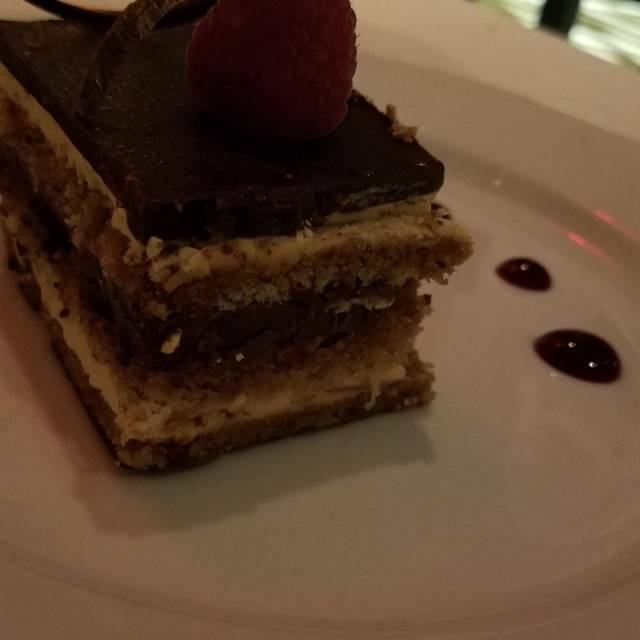 The opera cake we had for dessert was also inedible - a too-thick chocolate icing over dry pastry. This place is such a nice idea - I hope this was just a bad night for the kitchen. Sadly, it was bad enough for us that we won't return. Excellent meal that was served in a very nice atmosphere. Rack of lamb was great, as were the soup and salads served to our table. I would have given the food 5 stars, except that someone at our table reported that the chicken dish was dry. Our server did an adequate job but it took a long time for our entrees to arrive. We really like this new restaurant and hope it does well in this Little Italy location. Great time! Food delicious. Only complaint was that timing of food was too quick. Overall great meal! specials are a bargain. priced right! small place so make reservations. parking can be a problem, but stratford university has free parking near by and walking distance. A dining experience not to be missed! The staff is very attentive and worked to keep us on schedule. The food was excellent and the variety of choices left everyone satisfied. A couple of the people ordered the Early Bird special, which looked very tasty and was a great deal. I had the Persian Minestrone Soup, followed by Pork Chops over Lentils and Lemon Sorbet all was excellent. The rest of our party had fish or Scallops and were equally happy. The bull was exceeding reasonable. All and all a Great Experience. It was a wonderful evening. We enjoyed the early bird special. It was very very good and an excellent value.